Welcome to the UTS Alumni website and thank you for registering your details. You have now completed the registration process and have full access to the site. However, please allow us three working days to activate your registration, as we match your information with our alumni records. Once your registration has been activated you can login at anytime and update your details or change your login and password. We look forward to staying connected with you, including events invitations, the latest news on the successes of your fellow alumni and a host of other benefits. 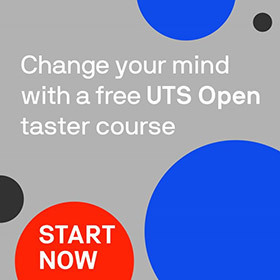 If you have further questions or comments please contact us on alumni@uts.edu.au or +61 2 9514 9861.